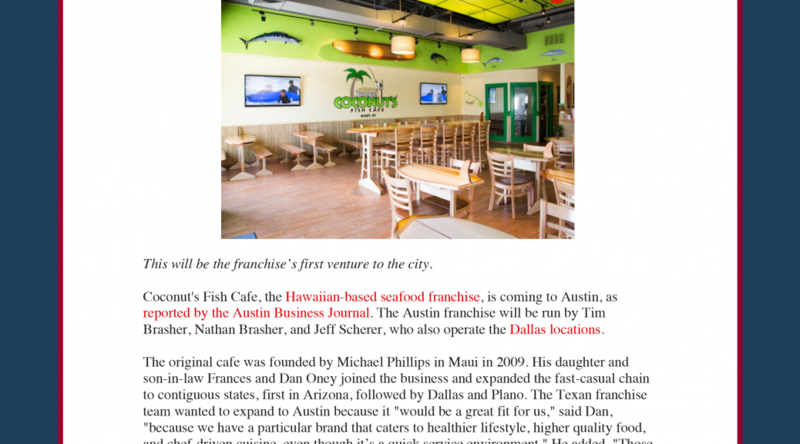 All Points PR secured coverage in Eater Austin for Coconut Fish Cafe’s expansion plans in the city of Austin. The article mentioned brand differentiators, photos and menu items. Coverage ran online and performed well on social media.